I am writing this devotional a few weeks ahead of when you'll see it. The only reason that matters is because it's still February on the calendar but I'm thinking about March 14th. The Weather Network says that the weeks between the writing and publishing of these words will mark the last furious days of winter and a sudden transition to spring. Is it possible that a warm breeze will be blowing and birds will start to tentatively chirp when you open this email? I'm thinking about March 14th and what spring feels like when it arrives because it's no secret that I'm not a fan of winter. I'm over it by December 26th when it's less than an official week old. What I am a big fan of is seasons. I love living in this part of Canada where we have four distinct seasons. No matter what season you are in, it won't last forever. Maybe you are lamenting the melting of the snow. (You are strange but I choose to love you anyway.) Don't worry, it will be back. It's just a matter of the seasons changing again. This concept, as it is played out so beautifully in nature, is very encouraging to me. Our lives are not one-dimensional, they are not a single chord sustaining. They are ever-changing and as surprising as they are routine. I love the way that God has made us; not to remain stagnate or stuck, but to move toward what's next. We are shown in nature the beauty of this momentum, a picture of us continually moving through our lives, sojourners on our way from season to season until we see Him face to face. So let's take a cue from nature as we (hopefully!) watch the season change around us over these next days (weeks?). There will be seasons of new life, seasons of intense heat, seasons of refreshing, and seasons of quiet waiting in our walk with Christ. He is with us through each and every one and has ordered your steps through every season... even if it's not your favourite one. Join us on Sunday at 10am as Bjorn continues in our series. The first question makes good sense... "Who am I that I should go to Pharaoh?" Truly, who was he? A murderer, a runaway, a foster child, a shepherd - certainly not the qualifications or pedigree to be the best spokesperson for Israel. But the second question provokes an answer from God that begins to reveal His divine nature in ways that will change our understanding of Him forever and ripple through time to reveal His Son, Jesus, to us. "I AM WHO I AM" All caps. Who is this God who would describe Himself like that? What kind of a statement is that and what does it tell us about Him? Throughout our next series, we are going to take this name and use it to get to know God more deeply. But we're not going to stay in Exodus. We're going to go to the book of John and see how Jesus describes Himself using the same language. As we head toward Easter we'll listen for the same question that He asked Peter, "Who do you say that I am?" I'm looking forward to exploring the nature of God and how they were revealed in Christ over the next few weeks. Jesus truly is the centre. He is all. Join us on Sunday at 10am as Pastor Tracy launches our new series. Here's a simple challenge as you go about your week and head into the weekend. (Click the image below to read the full article.) Let's not ever limit how God can use us in our day-to-day lives or how He can speak through us to the people we rub shoulders with every day. I am praying that you have many opportunities to share with others the hope that you carry with you... and I'm excited to meet the friends that you share Jesus with when you bring them to church! 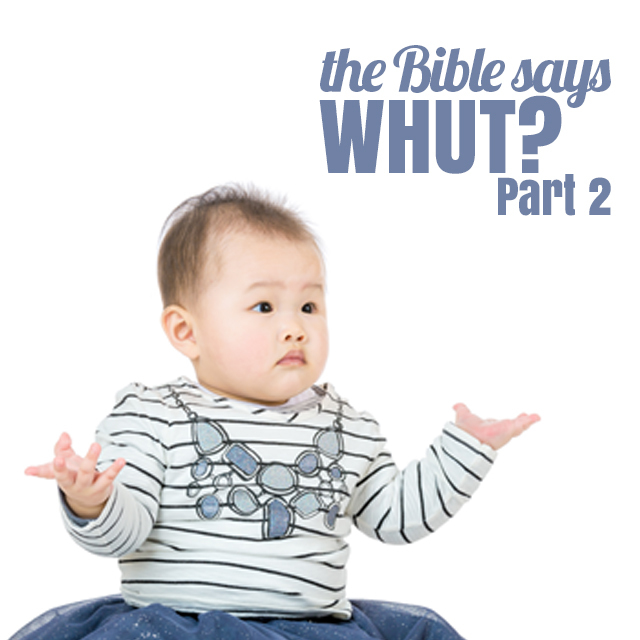 This week we are starting the sequel to our Bible Says Whut? series. It's all about taking a look at some difficult passages of scripture and learning how to understand them. 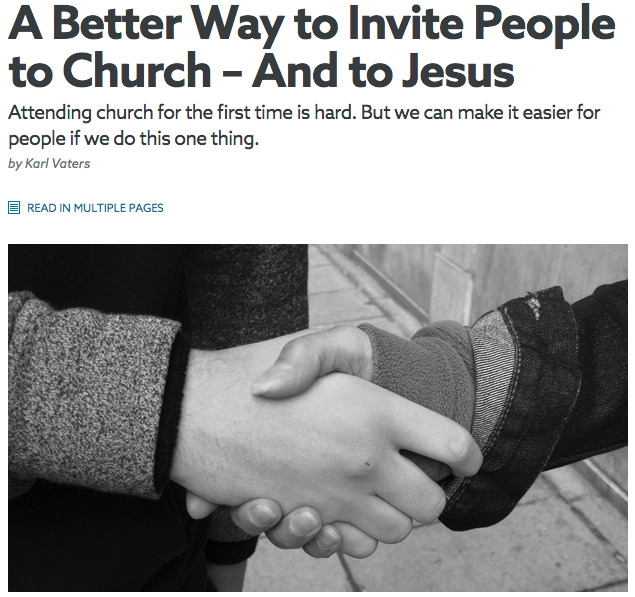 Like last time you'll come away with tools for studying the Bible on your own. We want you to develop the curiosity and confidence to engage with scripture... even when you have to pause and say, whut? Are you available to help us welcome and serve our neighbours? Email Erin today! Join us on Sunday at 10am as Pastor Tracy kicks continues our series. Community Connections is back in February with our 3rd Annual Williamsburg Winter Fun Family Day! This Family Day we have the opportunity to connect with our community by partnering with the Williamsburg Community Centre to host a Family Day event. We did this for the second time last year and I am excited to see it continue. My Community Connection opportunity and challenge to you this month is to get involved in some way with the Winter Fun Family Day. I know that this opportunity has been handed to us for the third year in a row and I believe God has plans, BIG plans, for every life that is connected with this event. Why not make part of your Family Day about ministering for Christ together as a family? Maybe this year Family Day doesn't have to be only about pyjamas and pancakes (or insert your preferred activity here). Maybe it can be about that AND serving your community together as a FAMILY! Pray - Pray for this event to be a time of connection with the community and Freedom that goes beyond the event and sees lives transformed. Bring Your Family and Participate - This event needs to be more than just opening our doors to the community. The real impact comes from our Freedom Family being present, interacting and making connections with those who come. Even if you can't volunteer, come and join in the fun. Invite Other Families - Invite your neighbours to come out and enjoy two hours of free games and activities. Give me a shout if you have any questions. Thanks for investing in and connecting with our community! Did you get a chance to read our 2019 Missions Giving Plan yet? Check it out. Join us on Sunday at 10am as Pastor Tracy kicks off our new series. Allow me to introduce you to or reacquaint you with one of our missions partners. Ray of Hope works right here in Kitchener and provides life-changing services to people in need. They demonstrate the love of Christ to those who are disadvantaged, marginalized, or troubled. Their vision is: "People investing in people. Inspiring Hope. Transforming Life." Wow - it's no wonder that we count it a privilege to partner with Ray of Hope. Their vision and ours share so much in common. For the past several years we have been sending a team every other month to make and serve a meal at the Ray of Hope Community Centre. This year, even as we continue to do that, we have a plan to raise funds over and above the cost of the food to be able to bless their ministry in some way at the end of the year. Thank you for partnering with us as we support this great work in our community and our missions families! Want to know more about our 2018 Missions Giving Plan? Click here. Praise the Lord for Pentecost - the gift of the Spirit empowering us. Now what? Do you ever wish that there was an "owner's manual" on how to use the Holy Spirit's power? Or does the Holy Spirit use us? Or is it both? So many questions. I have an idea. Let's ask Jesus to teach us to use the Holy Spirit's power. You can follow along with the message on YouVersion Events. Here's the link. This month’s Community Connection challenge comes from an idea brought to us from one of our Freedom Family members. It was such a good idea I thought, let’s make it our Community Connection for March! Have you heard that Loblaw’s has committed to giving out $25 gift cards to Canadians that were overcharged for the cost of some packaged breads in their grocery stores? If you aren’t aware, I assure you it’s true! I’ll even provide details on who qualifies and how to register at the end of this email. Here is the challenge: For those of us that qualify to receive these $25 gift cards, let’s use them to bless three organizations that are doing great work in our community. Sometimes reaching our community happens by coming alongside those who are already doing great work! If you have already received and spent your gift card or you aren’t eligible, have no fear you can still participate! You can either donate an amount you feel the Lord laying on your heart or pick up a gift card next time you are at a grocery store. Located in Kitchener and Cambridge, Monica Place empowers young women who are pregnant, parenting or choosing adoption to make informed and healthy choices for themselves and their children. They are a community that provides supportive housing, counselling and on-site education creating opportunities for growth, learning and skill development. How can they use the gift cards? Ray of Hope’s mission is to demonstrate the love of Christ to those who are disadvantaged, marginalized, or troubled. They provide life-changing social services to young people, adults and families, helping them redirect their life journey and realize their God-give potential. To buy food for their hot meal and food hamper programs. The Pregnancy Centre offer’s support for anyone experiencing an unplanned pregnancy. Their services are designed to help those in need and are free of charge. To help mothers in need. Register for free gift card, purchase gift card on your decide on a cash amount to donate. Bring your card to the box at the Welcome Centre on a Sunday morning. Excited to partner with you to bless our community! We're getting excited around here because in just a few short weeks we'll be celebrating Easter together. On Sunday we are going to launch our Easter series called "Better Than". Each message will move us deeper and deeper into the book of Hebrews where the author sets up a case for Jesus absolute supremacy over anything you might want to compare Him to. Let me invite you to prepare your heart for this series by spending some time in Hebrews 1:1-4 before Sunday. Meditate on all the amazing truths about Jesus that are found in this short passage and get ready to see all the way that He is better than anyone and anything else this world can offer. You can also follow along with the message on YouVersion. Here's the link. Community Connections is back in February with our 2nd Annual Williamsburg Winter Fun Family Day! This Family Day we have the opportunity to connect with our community by partnering with the Williamsburg Community Centre to host a Family Day event. We did this for the first time last year and I am excited to see it continue. I know that Family Day is about spending time with family... i.e. eating pancakes, wearing pyjamas and playing board games. I also know that this opportunity has been handed to us for the second year in a row and I believe God has plans, BIG plans, for every life that is connected with this event. The Bible Says Whut? "Don't...Be Sure"
2 Timothy 3:16 says that all scripture is God-breathed and is useful for teaching, rebuking, correcting and training in righteousness. If that's true, what about the things we read in the Bible that we can't figure out or seem to contradict something else? Can the Bible really be understood? Sometimes sharing our faith and reaching our communities comes in the form of meeting the needs of others. "What good is it, dear brothers and sisters, if you say you have faith but don't show it by your actions? Can that kind of faith save anyone? Suppose you see a brother or sister who has no food or clothing, and you say, 'Good-bye and have a good day; stay warm and eat well' - but then you don't give that person any food or clothing. What good does that do? So you see, faith by itself isn't enough. Unless it produces good deeds, it is dead and useless." This month we are going to be people of action by collecting new men's socks and underwear for Ray of Hope. It is such a simple thing but it carries a huge impact. When I contacted Ray of Hope to see if there was a need we could meet the answer was immediate - men's underwear. But there was hesitation in the woman's voice and she said, "I know some people might not be comfortable collecting men's underwear." My immediate response was that Freedom Church is full of practical people that are happy to meet the needs of others in practical ways! Our Christmas tree in the lobby has been decorated with socks and underwear. We invite you to bring in a donation of these items any time during the month of December and put underneath the tree! Let's follow the instructions in the book of James and put our faith into action by meeting practical needs! PS - Ray of Hope has requested socks and underwear for MEN ONLY. This week we're going back to Matthew's gospel account of the Incarnation to find other ways that worship is central to the Christmas story. Of course, when we think of the nativity and gifts our minds immediately think of the Wisemen with their gold, frankincense and myrrh. How about us? Even as you cross items off of your Christmas list, we're going back 2000 years to talk about how worship instructs our giving. I'm looking forward to Sunday! Sunday marks the beginning of our celebration of Advent, a season of expectation and anticipation. We're going to take the time to look back at the first Christmas and talk about how the miracle of the Incarnation brought a common response: worship. From ordinary people to the heavenly host, worship is what happens when the mystery and beauty of Christmas are revealed. We're going to look at our own worship response to the coming of Jesus as we celebrate Advent together. I'm looking forward to every Sunday of this series! We have so many great things planned for Sunday and we are looking forward to exploring all of your "giftings" with you.